The prevention of periodontal disease is simple. Regular brushing twice a day, flossing every day, making healthy food choices, and visiting Dr. Brent twice a year for exams and cleanings are the primary defense against gum disease. Gum disease frequently has minor symptoms that can go unnoticed, so getting your gums checked by our team is especially important. Have you heard the word “biofilm” before? This is something created by bacteria adhering to surfaces in a watery environment. Where is it found? Clogged drains and slippery rocks are good examples. It can also be found on your teeth! This yellowish plaque build-up is believed to be the big culprit when it comes to cavities, gingivitis, and periodontitis. But the KC Dental team is your ally in the fight against gum disease. 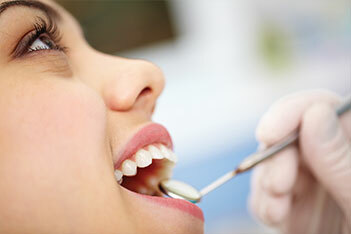 Understanding of the risks of gum disease has greatly increased in the last few years. 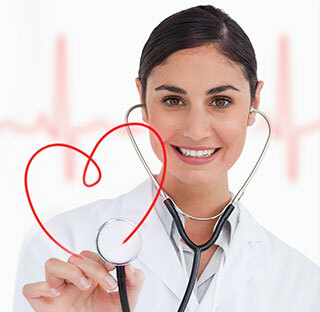 We now know that gum disease can contribute to systemic diseases including strokes, heart disease, and premature labor. With advanced periodontal disease, treatment may require surgery. But mild cases of periodontal disease have effective NON-surgical options that, coupled with improved dental hygiene, can effectively stop the spread of the disease. What’s the best way to prevent gum disease? The best way is to maintain healthy dental habits throughout your lifetime, including brushing and flossing, making healthy food and beverage choices, and seeing the dentist regularly. But don’t worry. Effective treatment exists for every stage of gum disease, too. Will getting my teeth cleaned hurt? Our goal is to make sure every patient is completely comfortable throughout their care. Dr. Brent and our hygienists have a very gentle touch, and they communicate with you and listen to you every step of the way as they remove plaque and tartar, polish your teeth, and floss between your teeth. The American Dental Association has reported that nearly 80% of Americans have some form of periodontal (gum) disease; evaluation by dental professionals will help you find out if you’re one of them! Early gum disease may not be obvious to you, but common symptoms may include swollen or bleeding gums, bad breath, loose teeth, or dark buildup between teeth. Dr. Brent will evaluate your gum health and help choose the right treatment for you. Mild gum disease, known as gingivitis, can be treated and even reversed with regular routine cleanings. The longer you may have gone without addressing the condition, the harder we may have to work to treat it, but we have the techniques and expertise to do so and get you healthy again. More advanced periodontal disease may call for scaling and root planing with more regular maintenance visits. In some cases, a laser may be used or an antibiotic therapy called ARESTIN™, which eradicates the bacteria that cause gum disease. And it works painlessly! We can help arrest your gum disease and bring your smile back to health. Schedule online or call (913) 220-2209 today.